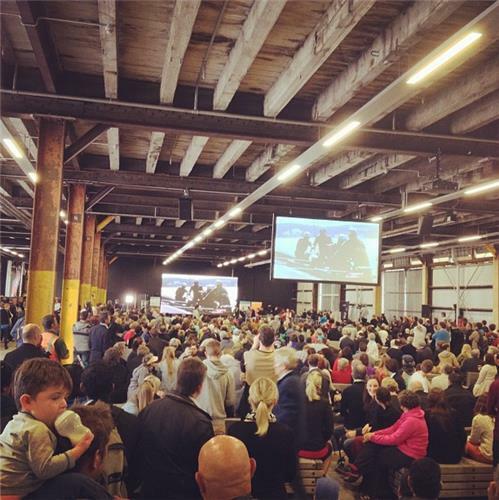 Down comes bow of Team NZ, Oracle follow suit. A better start by Team NZ. Is it enough? 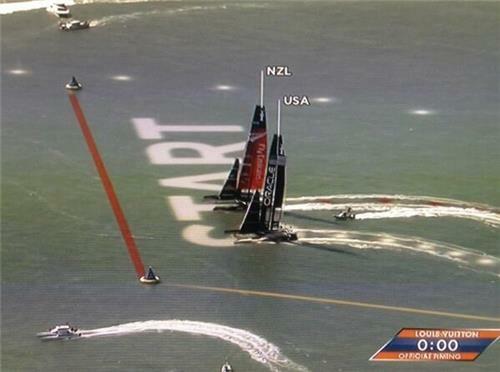 Oracle round mark 1 first and Team NZ follow yet again. But this time no mucking around it's straight into racing. They have clear wind which extends their lead. Team NZ gybe first and cut under Oracle. Oracle keep going towards the port boundary as Team NZ head off towards centre of course. The lead is around 132m for Oracle. They head across the course to the Alcatraz boundary. Oracle in a good position, holding the lead at around 130m. The Oracle lead extends to 350m. A big gain to Oracle there. They were at a few knots faster. "Big gains for us here, we're in bigger pressure," says Ainslie. Oracle racing away with this one in the early stages. Lead at 700m plus.